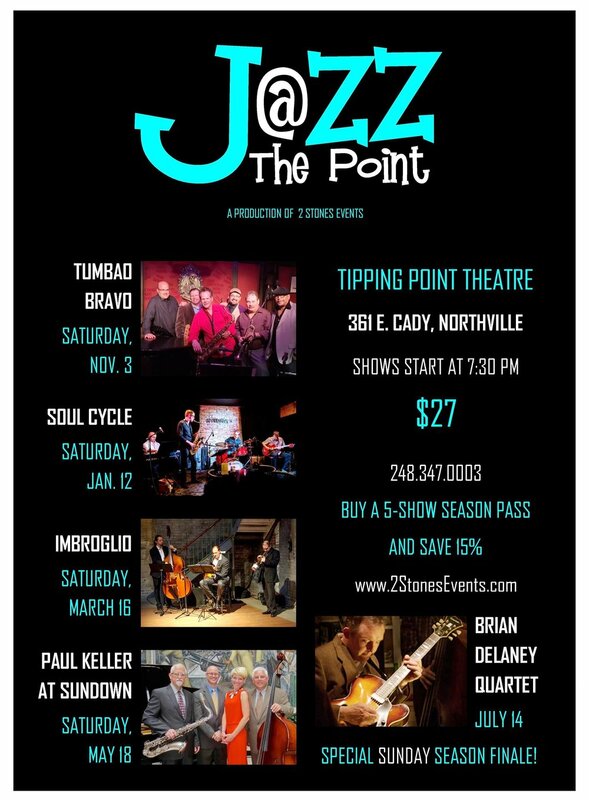 Our fourth Jazz @ The Point series , held at the Tipping Point Theatre (361 E. Cady St.) in downtown Northville. It kicks off with the Latin jazz group Tumbao Bravo on Saturday, Nov. 3, followed by Soul Cycle, Jan. 12; Imbroglio, March 16; Paul Keller’s At Sundown, May 18; and a special Sunday finale with the Brian Delaney Quartet, July 14. All shows begin at 7:30 p.m. Tickets are $27 per concert; save $20 and buy the entire series for $115 before Nov. 4. Call the TPT box office at 248-347-0003. Click HERE for tickets.